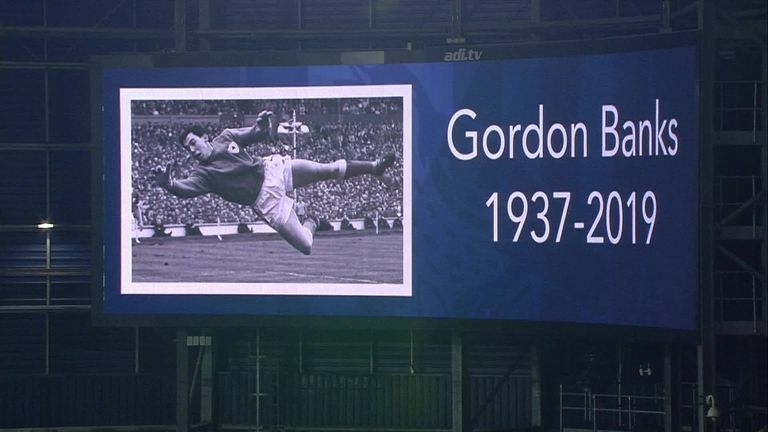 A minute's applause was held ahead of all Sky Bet Championship fixtures on Tuesday evening to pay tribute to England's World Cup-winning goalkeeper Gordon Banks. The 1966 World Cup winner died "peacefully" at the age of 81 on Monday night, his family said in a statement on Tuesday morning. Tributes have poured in from around the footballing world, with the likes of Brazil legend Pele describing Banks as a "magic" goalkeeper. Banks made 73 international appearances and lifted the 1966 World Cup following England's 4-2 win over West Germany. He played just under 300 times for Leicester before moving to Stoke in 1967, where he made 194 appearances in six years at the club, winning the League Cup with both clubs.